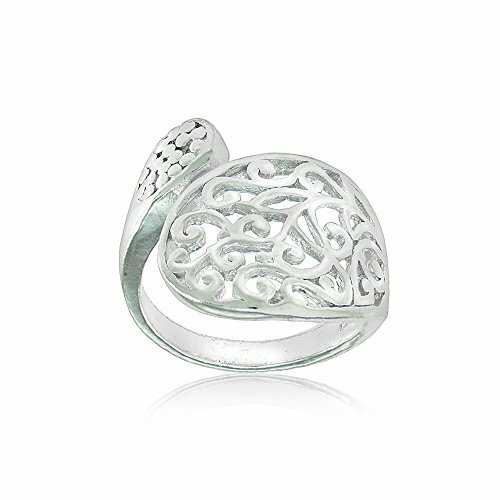 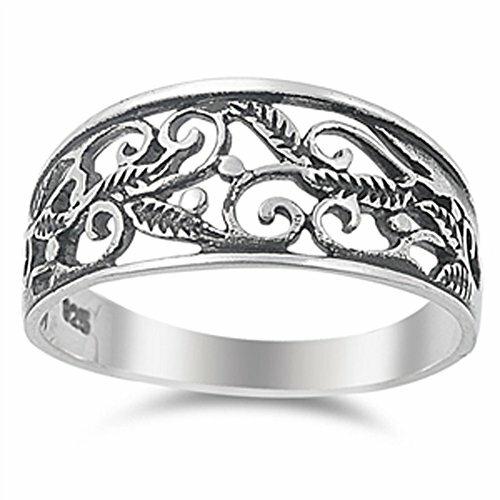 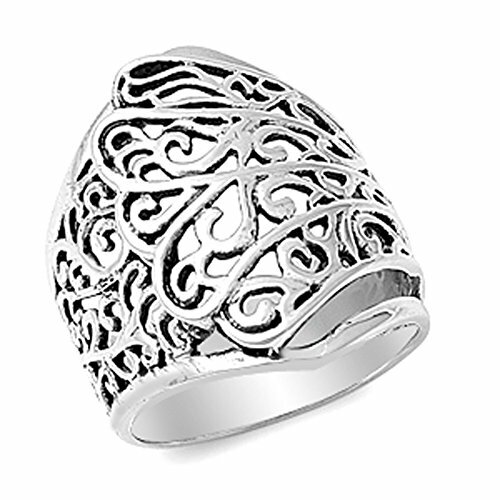 Filigree ring, with scrolls and swirls in a bold design solidly crafted in sterling silver. 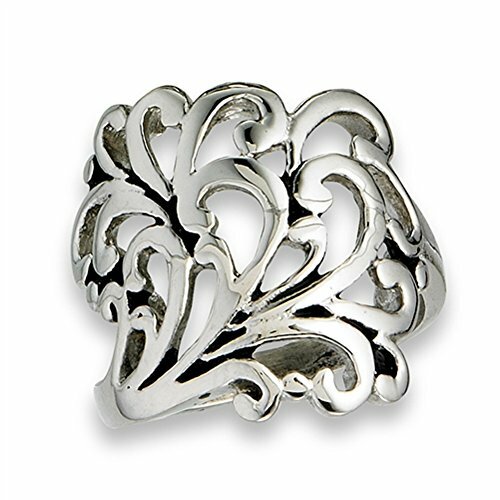 Measures approx 3/4" high at the front set on a band 1/8" wiide.Stamped for sterling silver. 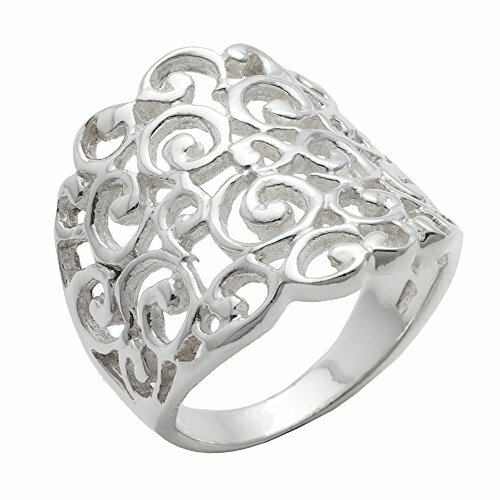 This is a pretty sterling silver filigree spiral and swirl design ring. 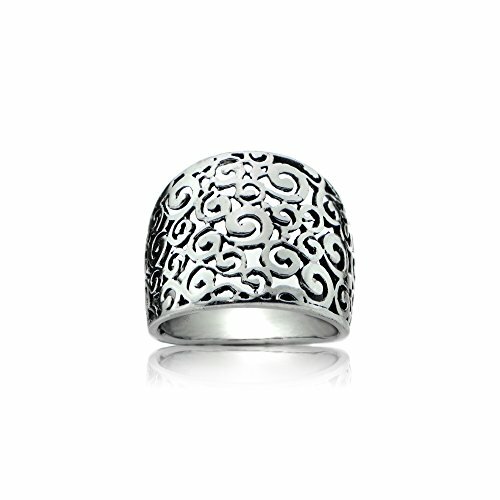 The ring is 20mm in height. 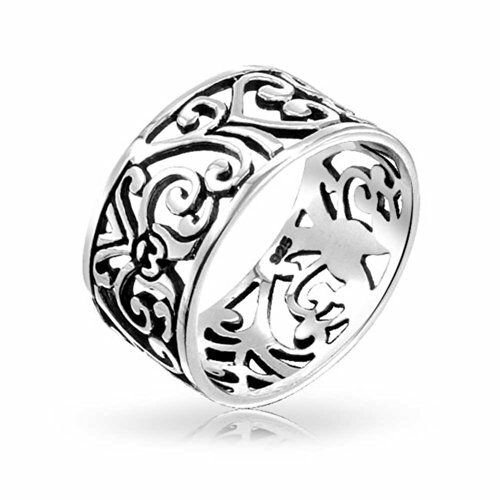 The ring weight is 5.45 grams. 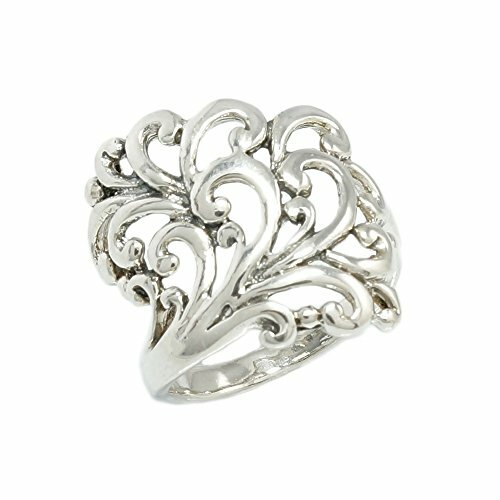 Comes in a white branded jewellery box with a small branded cloth to polish your silver items. 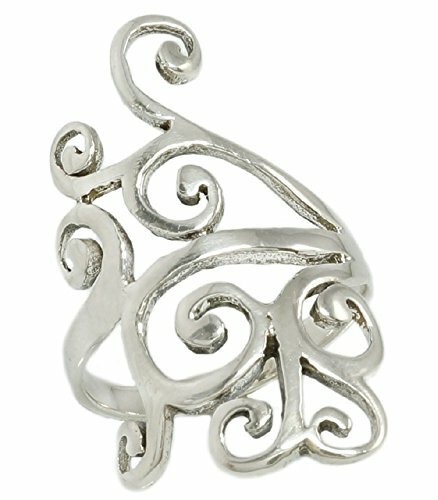 Wide filigree swirl ring crafted in sterling silver. 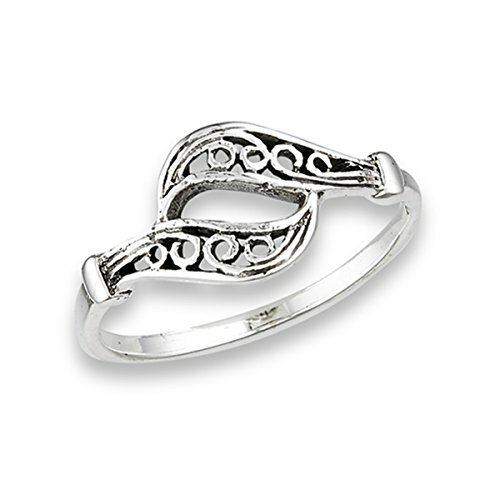 As this is a wide ring, please consider choosing a larger size than usually worn.